If you haven’t been to Moscow, the simple advice is get on the plane and go (you’ll need a visa). If you haven’t been to Moscow, the simple advice is get on the plane and go (you’ll need a visa). Political antagonism that has divided Russia and the West is a regrettable bane on the city that I have found by and large culturally progressive. In spite, and maybe because, of this artificial division by politicians, young people here remain enthusiastic, curious, and outward-looking. The unintended silver lining is that the city is mostly devoid of foreign tourists, except those from other parts of Russia and China. Moscow itself has become a polished, clean city, and it’s full of brilliant architecture, excellent museums, and great food. Service here is finally pretty much done with the Soviet dourness – in most places it’s polite and quick. One thing that’s lacking are quality boutique hotels, but you could say the same thing about Tokyo, for example. Your best bet here is Hotel Akvarel. If you can’t afford it, you can stay around the corner at Stoleshnikov Boutique Hotel for roughly half the price. Your Western currency will get you far, especially in terms of going out. Uber here is ridiculously cheap, though I highly recommend you take the astoundingly beautiful subway (1 ride costs around 80 cents). This guide is admittedly limited to Moscow’s center and is a mix of in-the-know and must-be-done-once variety. I am sure there is much more to see and experience than I put down here. Moscow is vast. Its proportions dwarf the compact and vertical New York, and covering ground is an undertaking. I wouldn’t go for less than a week to get the city’s flavor. I spent a lot of time in what the locals call “The Fashion Bermuda Triangle” – a handful of streets around the HQ of Conde Nast Russia and other Russian fashion media, centered around Stoleshnikov Lane. Unlike New York, where everything faces the street, Moscow’s blocks are more square rather than rectangle, and a lot of cool places are hidden inside their yards, so you’ll have to go through lots of arches. But Google maps will have you covered. Most young people in Moscow possess a decent command of the English language, and many menus are in English, so you should be fine. SEE: Below are some things you should see besides the Red Square and the Kremlin, which are obviously a must. The Seven Sisters – this group of seven skyscrapers built in the imposing Stalinist style remain as astounding today as they must have been when they were built (1947-1953). 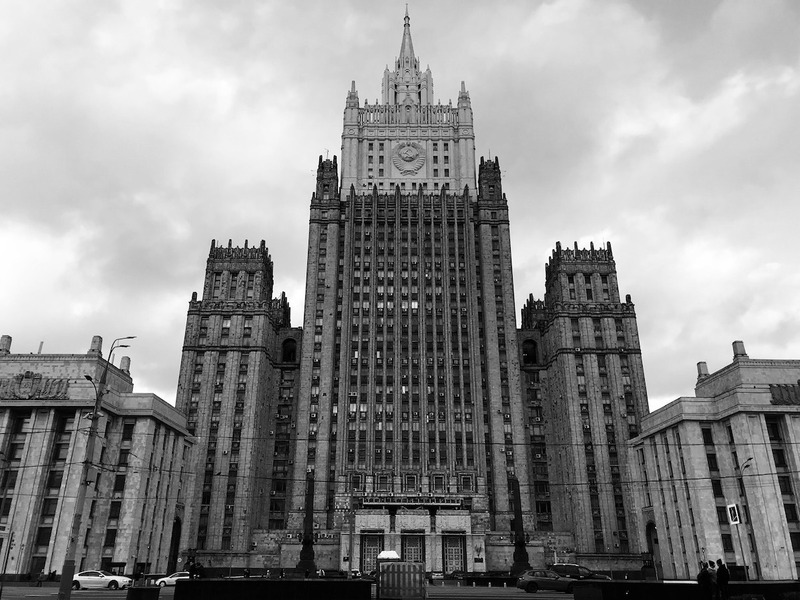 Usually derided in the Western press as Soviet monstrosities, these awesome buildings will surely enjoy a renaissance in the architectural world. Before long, you will be seeing Wallpaper articles and Phaidon coffee table books devoted to them, and you can quote me on that. VDNH – This vast complex is as totalitarian as totalitarian architecture gets. Simply stroll around and feel small. After that, visit the adjacent Museum of Cosmonautics to see all kinds of space gear. You can’t miss it because of its tall spire that mimics exhaust fumes from a space rocket. New Tretyakov – this museum is largely devoted to 20th Century Russian art, and is full of gems from the Russian avant-garde, starting with the granddaddies Malevich (yes, the Black Square is there) and Kandinsky, through the giants of Russian Constructivism like Rodchenko and Popova and on and on. Throw in some Soviet Realism, and you won’t see a collection like this anywhere else. Garage – Across the “street” from the New Tretyakov is the Garage Museum for Contemporary Art, Moscow’s leading museum and cultural institution for contemporary international art. Located in Gorky Park, its fairly new digs were designed by Rem Koolhaas’s OMA Architects. Its restaurant is pretty good, too, and you can and should stroll in the park if you have energy left. EAT: Food in Moscow has come a long way and so has the service, and many places listed here wouldn’t be out of place in any world capital. 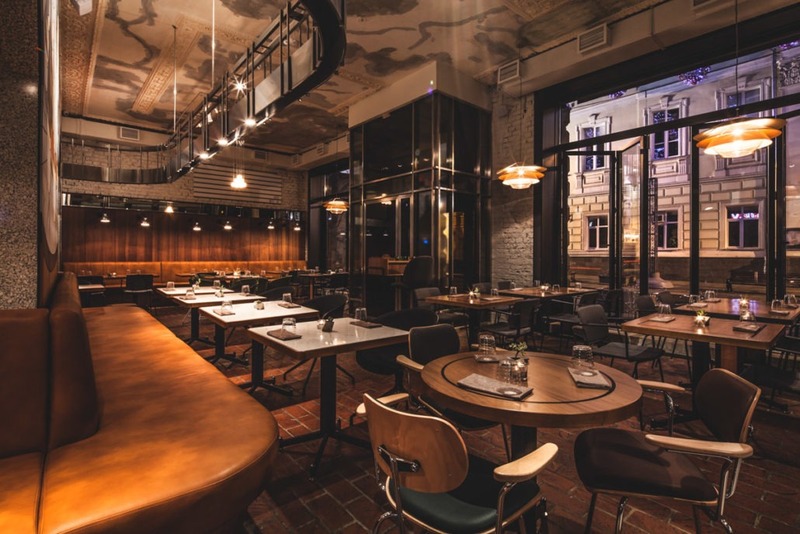 Severyane – If you are going to have one fancy meal in Moscow, go here. And by fancy I mean Williamsburg fancy, not Park Avenue fancy. In addition to absolutely stellar modern food cooked under the auspices of Georgy Troyan, one of Russia’s best chiefs, this restaurant is an aesthete’s dream. It is carefully considered from the navy wall paint down to the cutlery. There is nothing better than being in a place where you feel like the people take pride in what they create – and this is it. Reserve ahead. Technikum – this relaxed all-day spot from the highly acclaimed White Rabbit restaurant group serves everything from elevated take on Russian food staples to poke bowls. Go for the latter only if you are looking for a detox, but you’ll probably want the Russian part of the menu. Have the blini at breakfast, and the fried potatoes with sour cream, dill, pike caviar, and a poached egg at lunch. And borscht with duck is a must, too, and if you don’t eat the thin slice of lard on rye toast that comes with it, you haven’t lived. Gorynich – This newest spot from the White Rabbit group located in a food market is named after a fire-breathing dragon from Russian folklore. Naturally it places emphasis on baking done in its fire-breathing oven. Excellent from start to finish. Enthusiast – this motocross themed casual cafe run by a collective that also has a record label offers excellent sandwiches and a good selection of beer. You can come here for lunch, or to work all day on your laptop (free Wi-Fi), or to have a drink with a friend. It’s hidden a back yard, so you’ll have to look for it. It’s most fun on the weekends when the weather is nice and you can watch Moscow hipsters do their thing. 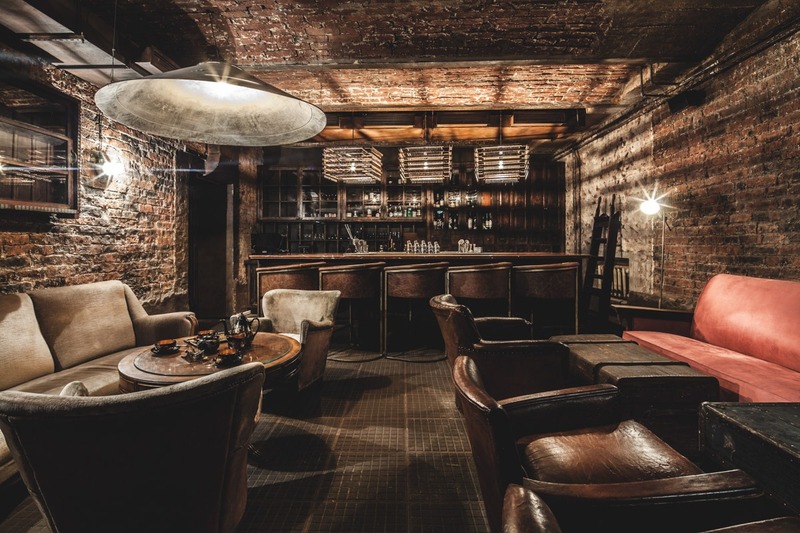 EAT/DRINK: This hybrid category exists because many of Moscow’s spots do both equally well, and there is not such a clearly delineated division between food and drink as say in New York or London. Simachev – file this one under the must-be-done-once category. 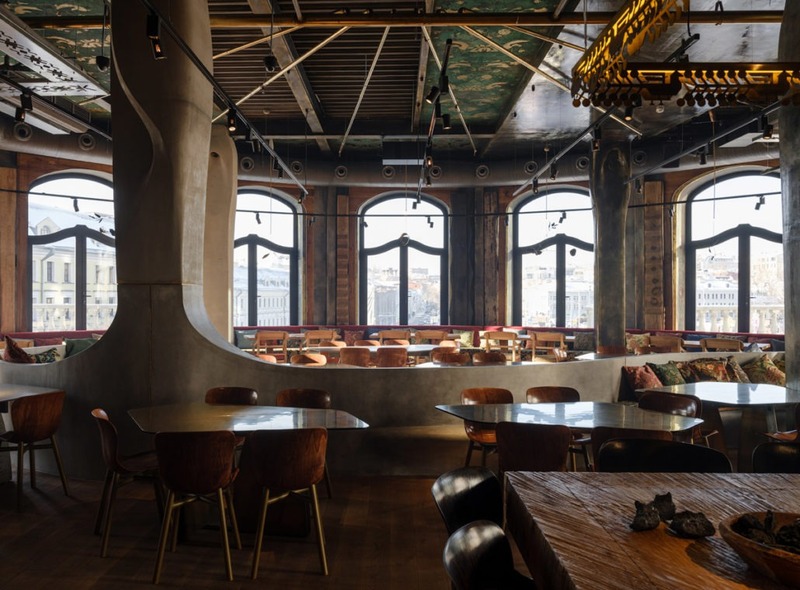 This legendary who-is-who hangout was opened by a then-popular fashion designer when Moscow had nothing like it, and it became an overnight sensation. Legend has it that many children of Moscow’s creative elite were conceived in the club’s black bathrooms, though today it’s much more subdued. Noor – this white-tiled bar is one place where you can get an excellent old-fashioned to go with your excellent pelmeni (Russian dumplings), and it won’t feel weird. One of Russian’s preeminent film critics, who was once beaten up by a pro-Putin author who now heads Esquire Russia – true story, only-in-Moscow – frequented it so much that his photo hangs above the table he worked at. Bar Voda – its door is imposing and you have to ring a bell. It’s tiny and its hours are erratic, but if you get in, it’s oh so worth it. The cocktails are fab and so is the short food menu. 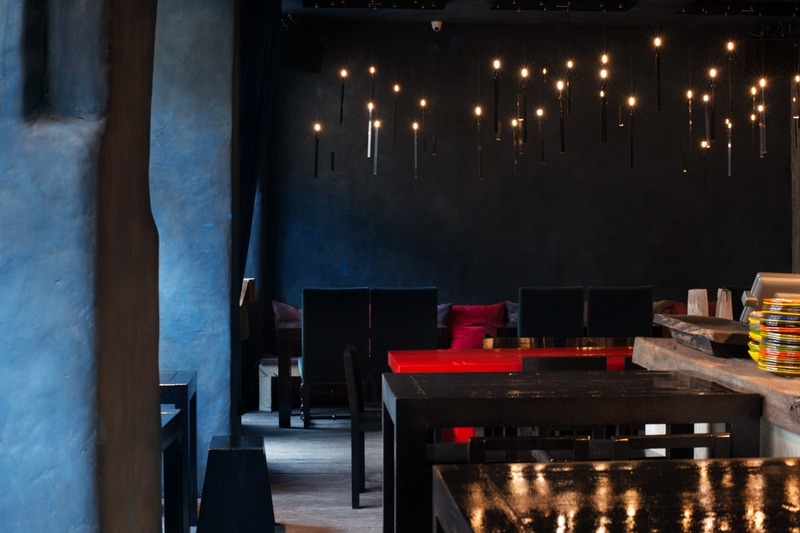 Korobok – just below Technikum, this tiny hidden bar serves up an impressive array of cocktails. The barman will ask you for your preference of alcohol base and whip something up accordingly. 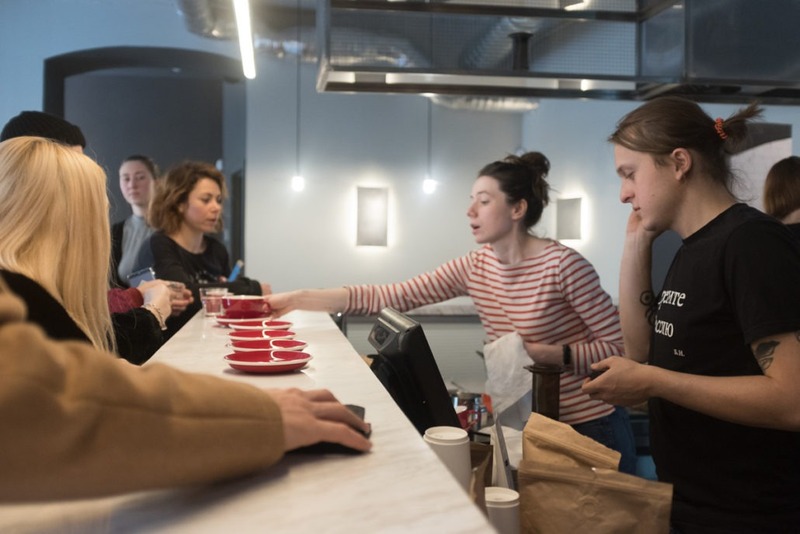 Cooperative Chernyi – just a great, low-key spot that serves excellent coffee – one thing that is still not that easy to find in Moscow – wine, and people-watching. It’s run as a co-op, as stated in the name, and the guys who own it are passionate about what they do. Each wine bottle is hand-picked and tested and their knowledge of wine borders on maniacal. There is also a limited food menu – try a plate of spreads – and you can hang out there as much as you like. Camera Obscura – there are a bunch of these coffee stands in Moscow. The one I frequented is located inside the Chop-Chop barbershop in Stoleshnikov. If the whole concept is airlifted straight out of Williamsburg, it’s not necessarily a bad thing. You’ll probably want the coffee (and the cherry pie) to go, as it’s not really a place to linger, though there are a couple of bar stools. SHOP: Shopping in Moscow is unique in a sense that most of the customers here are locals, as opposed to say Paris or London or New York, where most of fashion shopping is done by foreigners. There are virtually no Western tourists in Moscow, and the only foreign shoppers come in the form of the Chinese tsunami at Tsum, the main department store, that sweep luxury merch off its shelves. 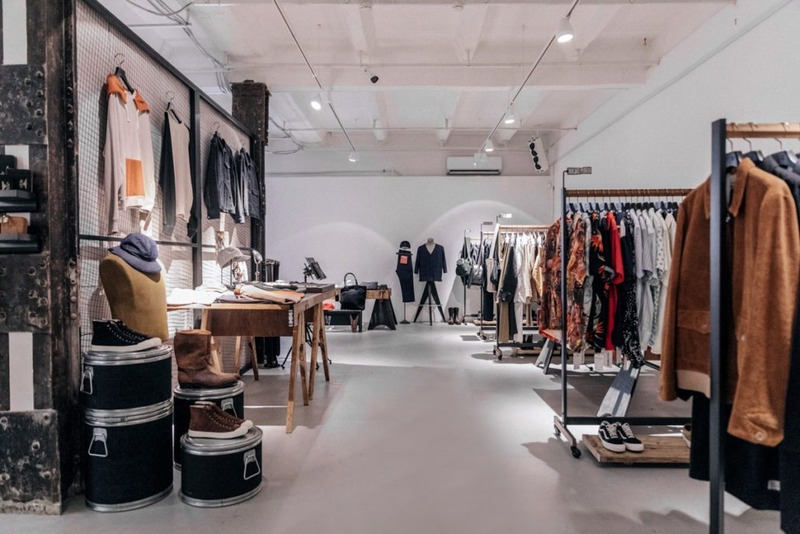 SVMOSCOW – tucked away in a small street near Arbat, the store makes itself hard to find on purpose. If you don’t know it, they don’t really want you to know it. Their buy of brands like Undercover, Rick Owens, Ann Demeulemeester, Haider Ackermann, Yohji Yamamoto, Comme des Garcons and others is more adventurous than that of many so-called directional stores in the West. This one is a must. LEFORM – one of the earliest entrants into Moscow’s we-don’t-only-wear-Versace market, LEFORM has been bringing designer fashion to the capital since 1997. It’s gone through several iterations, and now mixes it up between Rick Owens, Boris Bidjan Saberi, and Julius on the one side and Dries Van Noten and Stone Island on the other. Their perfume counter is also worth a look. BELIEF– this small men’s store tucked away in the back yard of a building adjacent to the brutalist structure that houses TASS, the news agency that’s been operating since the Soviet Union, is your destination for the elevated Japanese workwear/streetwear or whatever you want to call it, because what the likes of Neighborhood, WTAPS, and visvim do is not quite classifiable. 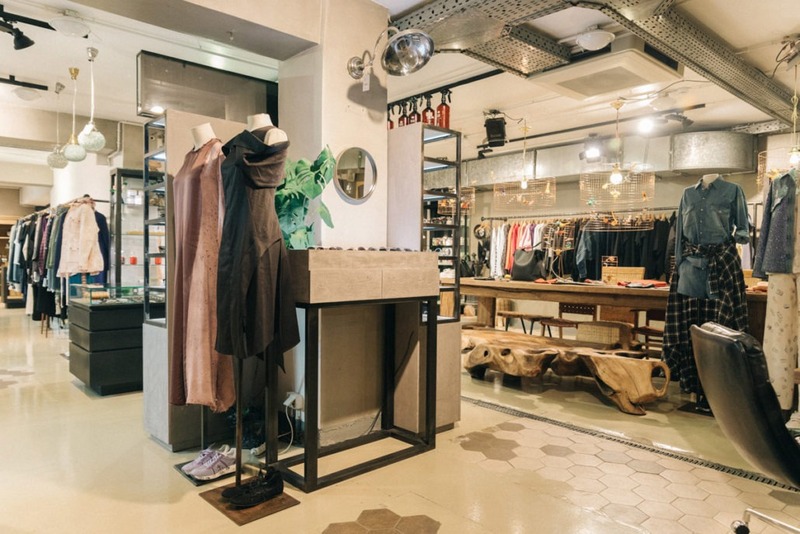 That the shop is a passion project is evident everywhere, from the uncompromising selection it offers to the way the staff talks about the clothes. Go if only just to support these guys. KM20 – Moscow’s hypebeast central. Carbon copy of Dover Street Market, though the owner will vehemently deny it. Come in to look at teenagers salivate over limited edition sneakers and Gosha Rubchinskiy’s sweatshirts and pretend they are into fashion. The second floor has a little more for grownups in the form of Calvin Klein and J.W. Anderson, but mostly it’s a children’s store leaning too heavily on Off-White, Vetements, and Alyx. Stay for excellent coffee and cake in the third floor restaurant.